Zipatile is the complete home control system in a form of a single device. It can easily be mounted on any wall, in any home. 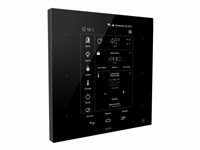 Featuring large number of built-in sensors and hardware modules, ZipaTile will replace numerous home devices such as security system, thermostat, automatic controller, IP camera, alarm siren or intercom, and bring them together in one, smart and beautiful device.